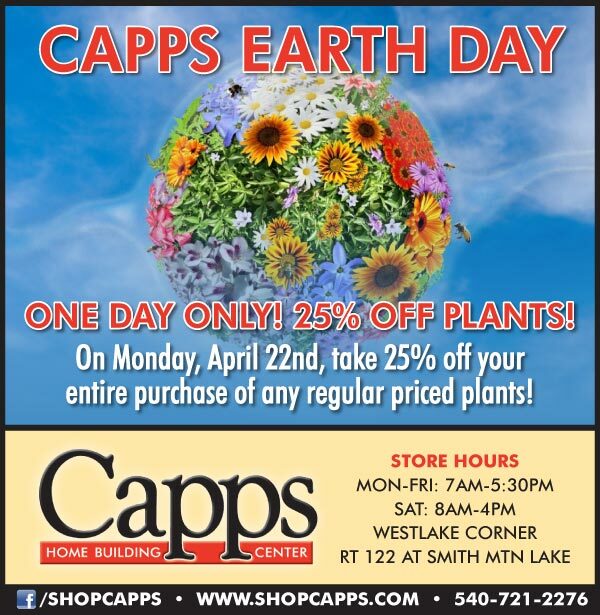 Take advantage of this huge discount on Earth Day, April 22nd, 2019 and get a whopping 25% off your entire purchase on any regular priced plants available in our Garden Center. This offer is good ONE DAY ONLY!! 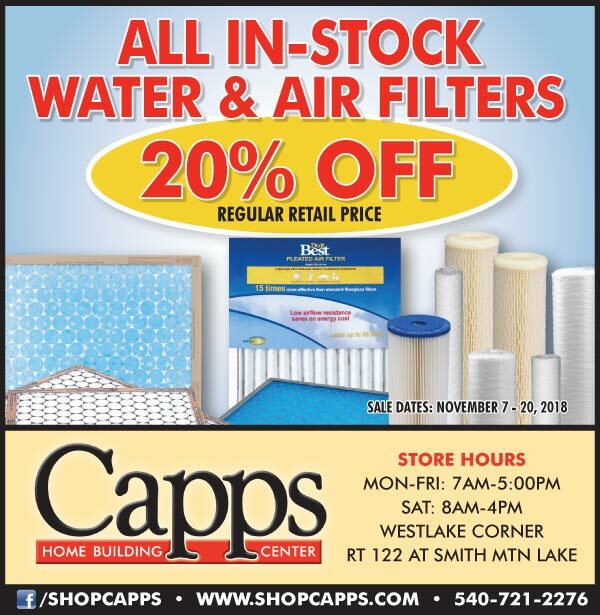 Now through November 20, 2018, all in-stock water filters and air filters are 20% off at Capps! 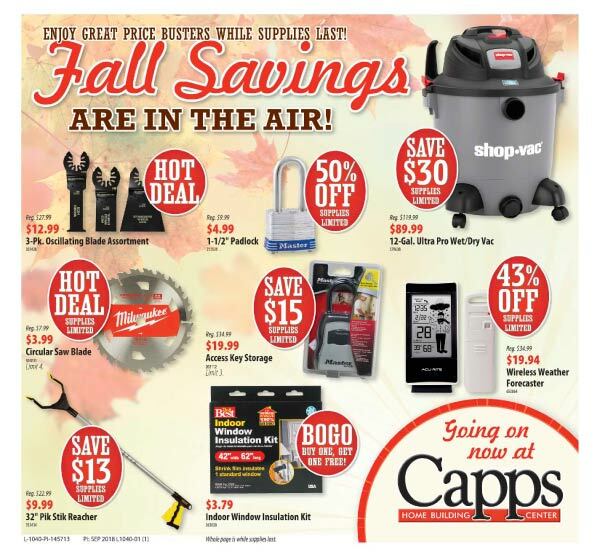 It’s a great time to stock up on these home maintenance necessities. Our Summer Sales Event is here! 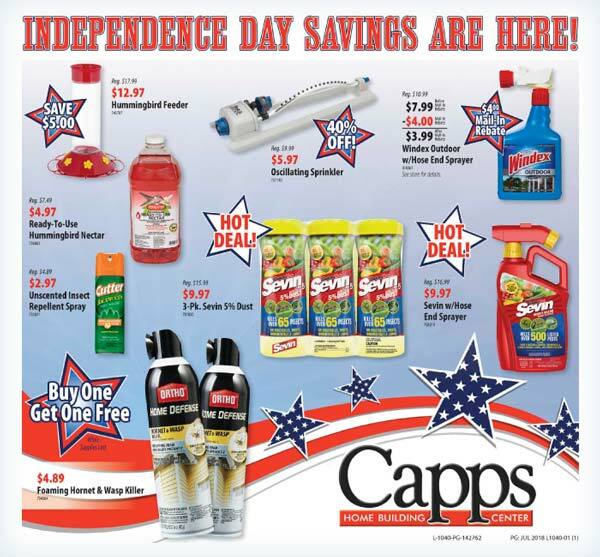 Enjoy special savings throughout the store starting RIGHT NOW through July 11th! Our May sales event is here! 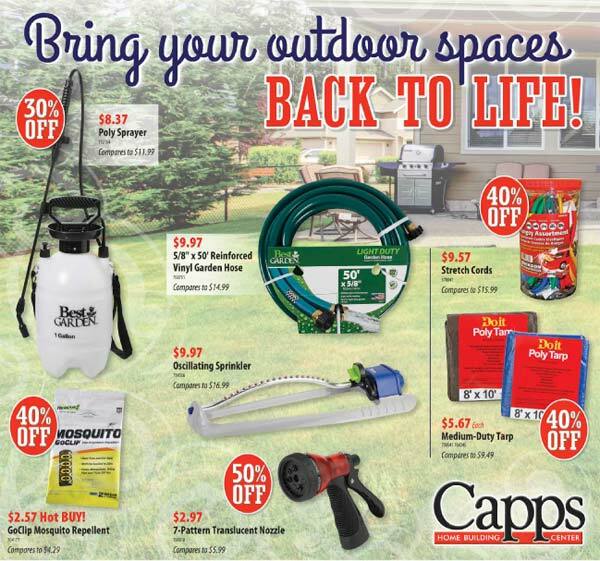 Enjoy special savings throughout the store starting RIGHT NOW through June 1st! 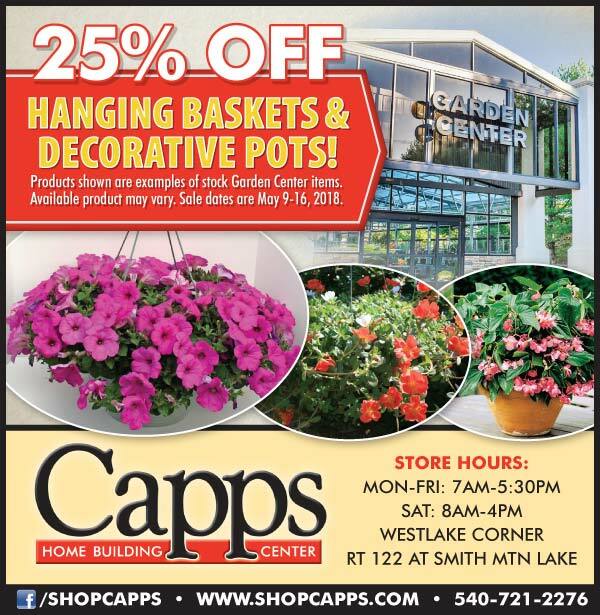 25% OFF Hanging Baskets and Decorative Pots Through May 16th! Looking to spruce up your space with vibrant color? Or perhaps you need a gift for Mother’s Day? Visit our Garden Center and explore our new in-stock selection of beautiful hanging baskets and colorful decorative pots — all on sale at 25% OFF through May 16th! Available products may vary to products shown in advertisement. Got a tax refund coming your way? You’re in luck! 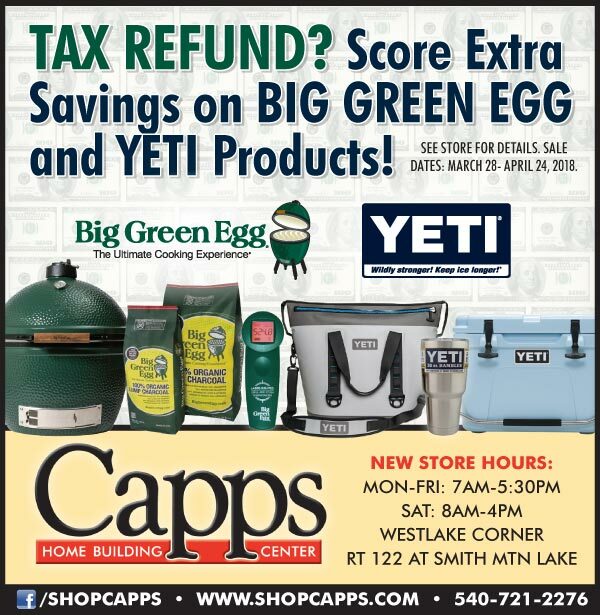 It’s a great time to score extra savings on the Big Green Egg and YETI products you’ve had your eye on. 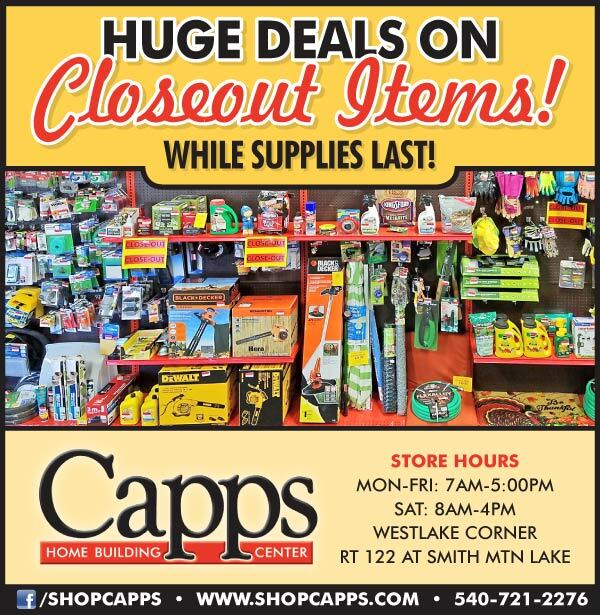 Hurry in to see our available products. This sale ends April 24, 2018. 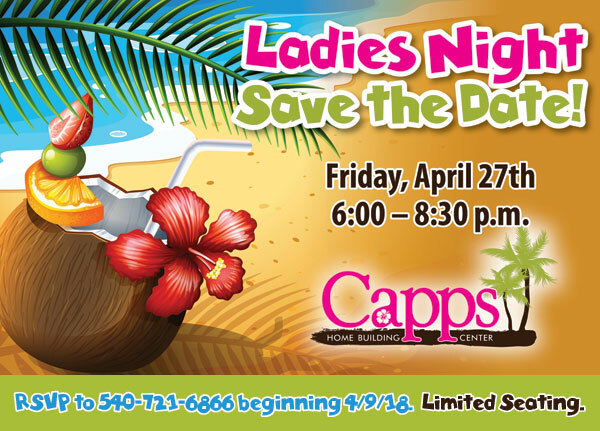 Save the Date for Ladies Night 2018! We will begin accepting reservations on Monday, April 9th and remember, there is limited seating, so giving us a heads-up that you will be joining us is a must! We are looking forward to hosting this fun-filled evening of games, prizes, food and fellowship. See you there Ladies! 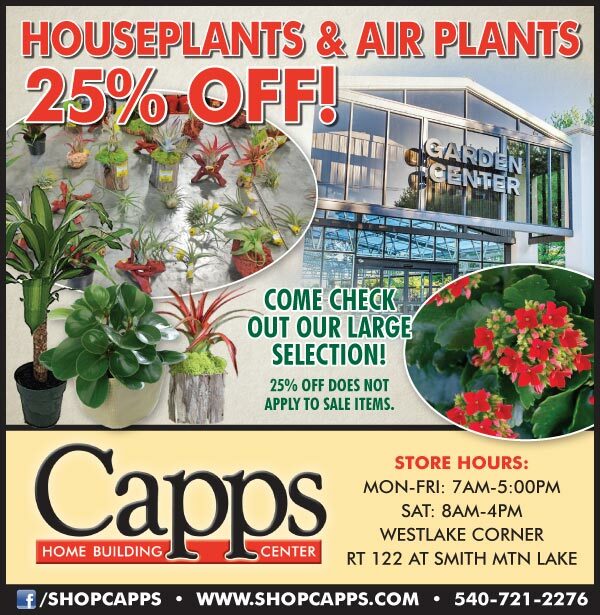 25% OFF Regular priced Houseplants and Air Plants! Keep the Winter Blahs at bay with beautiful houseplants and air plants to liven up your interiors. Come check out our large selection and save 25% through February 13th, 2018 on regular priced houseplants and air plants.